The death of a loved one is perhaps the hardest thing to cope with. Sadness, guilt about our bad behaviour and remorse about unexpressed feelings are the most common feelings encountered when a loved one dies. The value of a person is often understood only after he or she dies. Until then, we tend to take him or her for granted. When the death knell sounds and we are left staring at the dead body of the person we lived with for so long, we are so devastated and clueless that relatives, friends and neighbours have to come and take charge of what to do with the dead body. However, decisions about disposal of the body, the funeral and other rites and rituals are not to be taken by public opinion or established norms, especially when you want to give your best to your loved one at least in his or her death. There is a spiritual science involved in each of the acts to be performed after death. 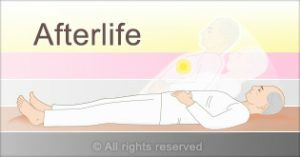 If you want the departed soul to start the journey of the afterlife happily without remaining attached to earthly life, and without obstruction from negative spirits waiting to catch hold of the clueless soul, then you need to be aware of what to do and what not to do. Hence it is important to understand this subject beforehand, so that when calamity strikes, you are well prepared. Presented here is a collection of articles that aims to educate you on the subject. Dead bodies are commonly disposed of in methods recommended by religious communities. However, the need is to choose the best method as revealed by spiritual research, because methods of disposal have far-reaching consequences on the departed soul. 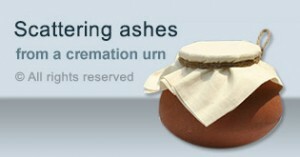 People often tell their children what to do with their ashes after they die. 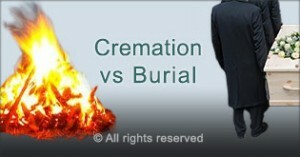 Children too have their choices regarding what to do with their parents’ ashes. But everyone should educate themselves about the spiritually correct way to disperse ashes, so as to benefit the departed soul on its onward journey. After a loved one is no more, some people wish to keep possession of their belongings to keep their memories alive. However, this is a spiritually detrimental practice. Learn why and what to do with the belongings instead. What is the Effect of Kissing the Hand or Forehead of the Dead Body? When people are overcome with emotion when their loved one dies, they sometimes hug and kiss the dead body. Although this is understandable, it is a risky action due to various reasons as explained here. What is the Effect of Keeping Objects in the Coffin? Is it good or bad to keep favourite objects of the dead person in the coffin along with the body? Find out in this article. Each religious community has its own choice of colour to wear for a funeral. Spiritual research too has its recommendation. Which is it? Read on. Funeral receptions complete with food arrangements are gaining popularity nowadays. Are these receptions the right way to see off the departed soul on its onward journey? Can we conduct post-death gatherings in a spiritually more conducive way? Should you marry right after the death of a close relative? Read the spiritual perspective and plan the wedding accordingly. Is the Time of Our Death Predestined? We all have to die at some point of time. But is this time predestined? If it is our time to die, is it really a bad thing? What are the factors that decide how long we live on this earth? Let’s find out. Dead bodies are commonly disposed in methods recommended by religious communities. However, the need is to choose the best method as revealed by spiritual research, because methods of disposal have far-reaching consequences on the departed soul. After a loved one is no more, some people wish to keep possession of his/her belongings to keep his/her memories alive. However, this is a spiritually detrimental practice. Learn why and what to do with the belongings instead. Your ancestors need your help. Can you devote 15 days a year to them? Learn some simple ways to appease your ancestors and thereby also remove your own suffering caused by them. 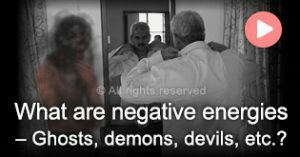 Stay away from negative energies! 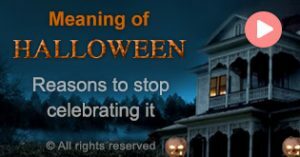 Learn the dangers of Halloween in this video. Ghosts, demons and sorcerers are real. Get introduced to them in this video. Engross yourself in this section that takes you on a journey of the subtle yet real world called as the Afterlife. 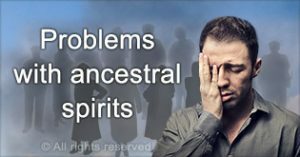 Ancestral spirits can wreak havoc in our life. Why do they do so? What can we do to appease them and to protect us from their desperate acts? 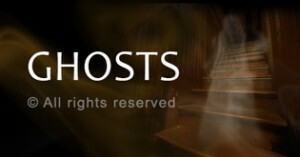 Ghosts are not make-believe characters that you scare kids with. 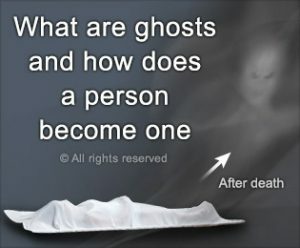 Ghosts are real; they are simply departed souls who have unfulfilled desires. The effect of different types of funerals on the environment and a solution to help all of humanity to benefit spiritually from funerals given by H.H. Dr Athavale.